The Pedestrian Advisory Group (PAG) was established by the ACHD Commission on February 15, 2017. Members possess diverse backgrounds, come from different areas of Ada County and are interested in the needs of pedestrians. The group, following the guidelines set forth in the PAG by-laws, provides guidance to the District about issues and projects, as well as opportunities to implement innovative solutions in ACHD's procedures and practices. All committee meetings are open to the public. 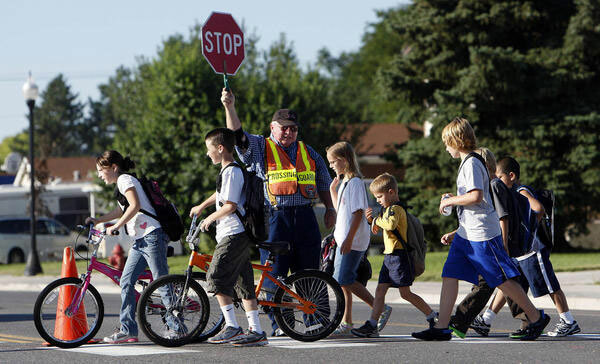 Lisa Brady is the Director of Treasure Valley Safe Routes to School, and represents the Boise Bench, District 1. Trevor Chadwick is a City Council member for the city of Star, the chair of the Star Beautification and Pathways Committee and represents Star, District 3. Evan Danforth is the Deputy Director of Architectural and Engineering at Boise State University, and represents North Boise, District 3. Cynthia Gibson is the executive director of the Idaho Walk Bike Alliance, is activly seeking legislative funding for the Safe Routes to School program and represents North Boise, District 3. Sue Higgins is employed at the Idaho Transportation Department, chairs the department's Strategic Safety Team and represents Northwest Boise, District 3. Wava Kaufman is a 6th grade teacher for Kuna School District and represents Kuna on the Bicycle Advisory Committee. She represents Kuna, District 4. Stephen Lewis sits on the Meridian Transportation Commission, and represents Meridian, District 5. Ronnie Marler is the President of the West Bench Neighborhood Association and represents West Boise, District 2. Alexis Pickering is a Health Policy Analyst at Central District Health Department. She represents East Boise, District 1. Tim Stienmetz is the Boise School District Grounds Department Foreman. He represents Boise, District 1. David Corcoran -- Senior Transportation Planner. The Pedestrian Advisory Group generally meets the second Thursday every other month. Meetings start at 6:00 p.m.